The Patriots could use the transition tag on pending free agent linebacker Dont’a Hightower instead of offering him the franchise tender, according to Ian Rapoport of NFL.com (Twitter link). Hightower has expressed a willingness to sign the franchise tag, but he’s said nothing about the transition tender, which will likely be about $3MM less expensive. While the franchise figure for linebackers could approach $15MM, the transition number should reside closer to $12MM, leading Mike Reiss of ESPN.com to earlier this week guess New England could instead deploy the transition tag. The non-exclusive franchise tag amount is determined by a formula that includes the salary cap figures and the non-exclusive franchise salaries at the player’s position for the previous five years. Alternatively, the transition tag figure is the average of the top 10 highest-paid players at the player’s position in the previous league year, so it’s cheaper than the franchise number. Only one club — the Dolphins — used the transition tender in 2016, but soon revoked it after originally placing it on defensive end Olivier Vernon. If the Patriots assign the transition tag to Hightower, he could negotiate with other clubs, but the Patriots would retain the right to match any offer sheet. Unlike the franchise tag, however, the transition tender wouldn’t entitle New England to any draft compensation if it chose not to match a contract offer. The Patriots currently have the sixth-most cap space in the NFL, though, so they should be able to match even the most creative of offer sheets. 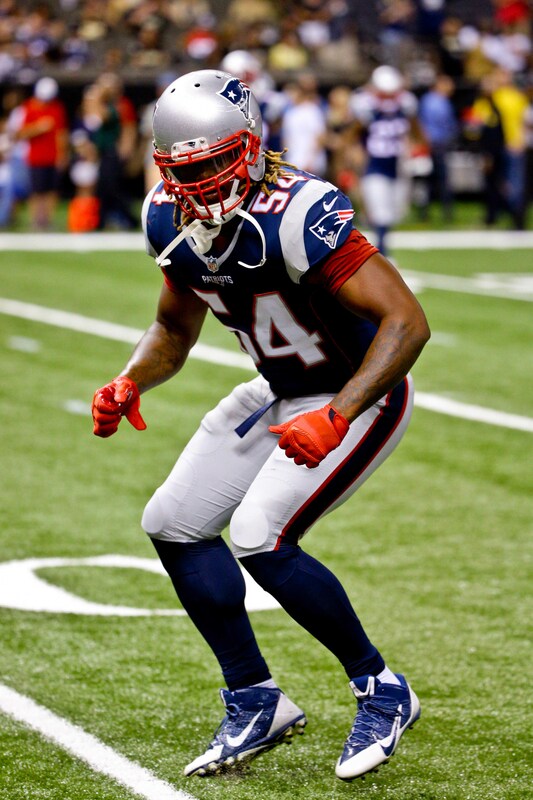 Hightower, 26, played in 13 games last season and racked up 65 tackles, 2.5 sacks, and two forced fumbles, ranking as Pro Football Focus’ 12th-best linebacker among 87 qualifiers. Given that the Patriots have already traded away other key defenders such as Jamie Collins and Chandler Jones, Hightower may be the last man standing when New England decides where to spend its free agent dollars.